June 28, 2011 • Heidi Shenk • "cards" • "challenge" • "design a day" • "design" • "envelopes" • "stationery"
I wanted to make a greeting card for today's design, but wasn't quite sure where that would lead me. As I began brainstorming, I remembered that I had wanted to dabble in making bilingual or multilingual cards. 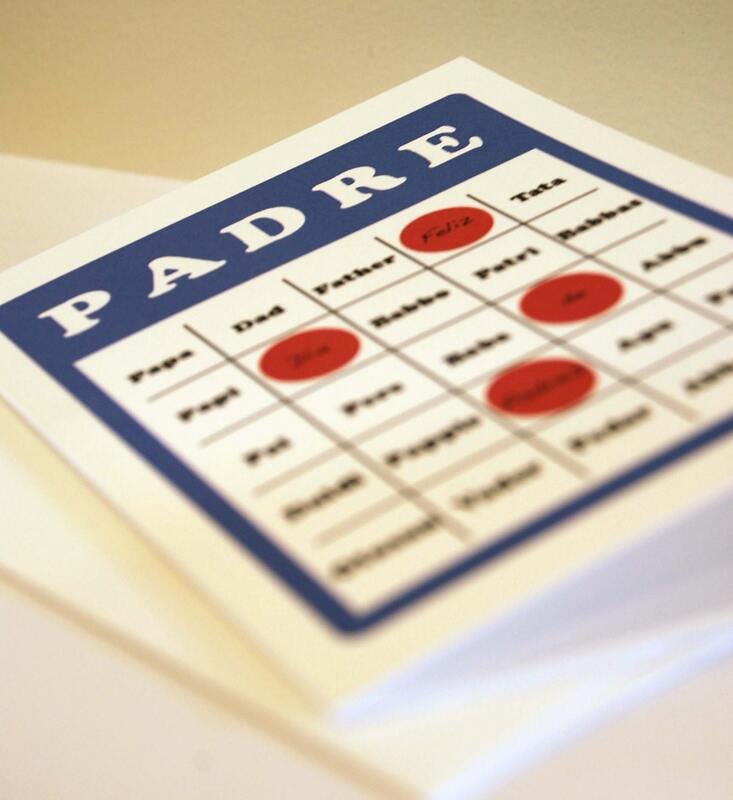 After making this custom order Father's Day card, I realized that there actually is a market for it. And then the more I thought about it, even my own family is bilingual speaking both French and English-- it just makes sense. Everyone likes to send and receive snail mail so why not do something in several languages? So the end result is this simple card that says "hi." But the fun part is that it says it in may different ways as well. Not only are the languages super fun, but so are the colors! And just for fun, I decided to offer either a blue or green envelope to go with-- I liked both so much I couldn't decide so I thought I'd leave that open ended. So all of this talk about languages around the world. I want to know: What languages do you speak?